St. Peters Episcopal Church in the Valley « John Bartram Lives! The cemetery has burials from the Revolutionary War. 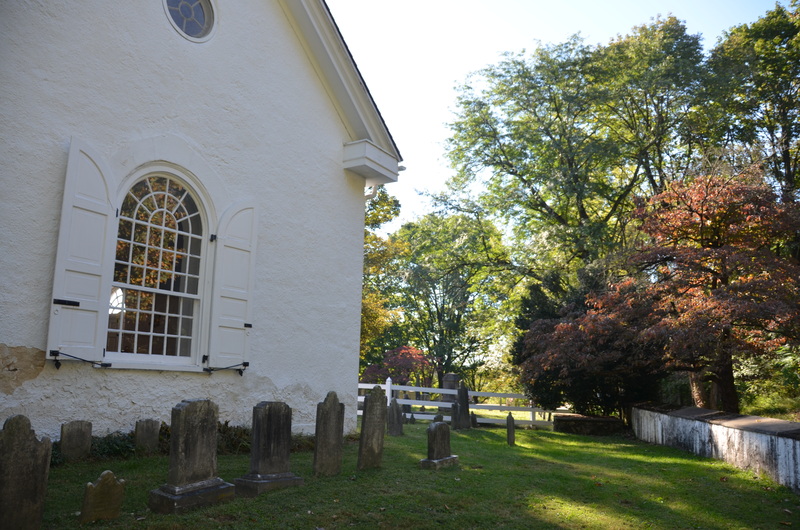 Saint Peter’s Church in the Valley held its first service on September 4, 1761. I remember the date especially. It was formed from a group that moved away from their mother church in Society Hill. There was an elegant ring to the connections. 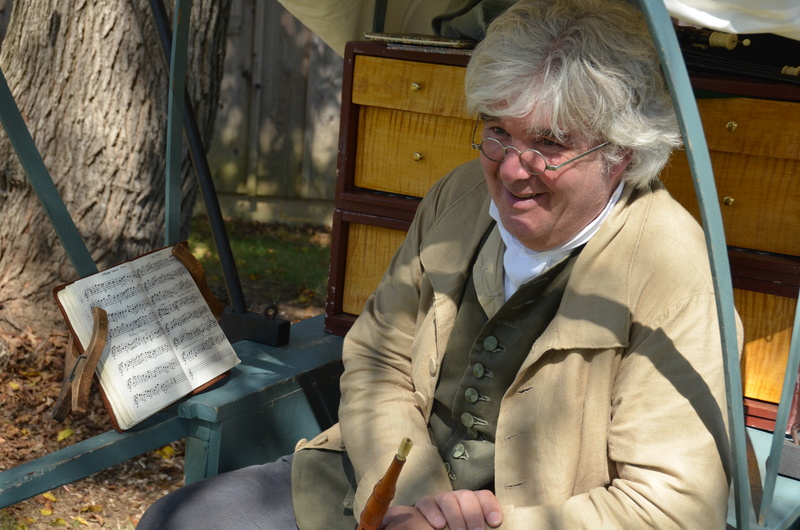 This is one of the reasons that John Bartram was disowned from his Quaker meeting. It had been four years since the Darby Meeting had disowned me so I was always conscious of new congregations starting up. This one was noteworthy because of its magnificent edifice designed by local Philadelphia architect William Strickland. A handsome couple. John and Ann Mendenhall Bartram. 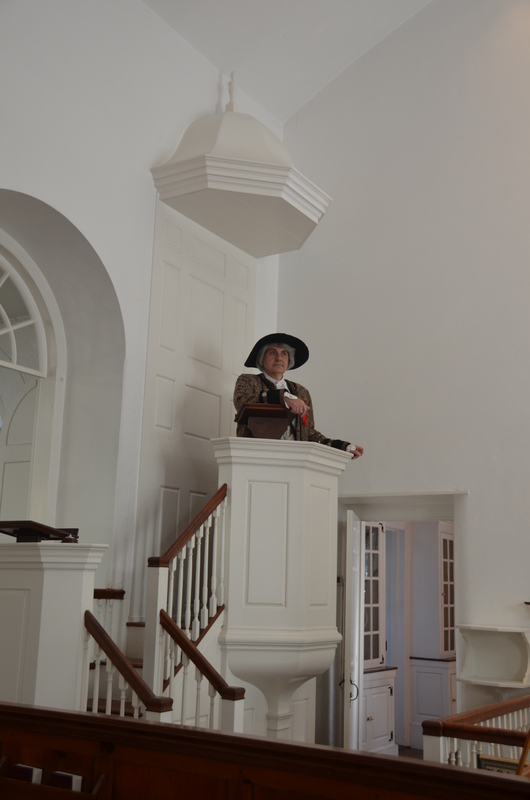 George and Martha Washington were often to be found in the pew box belonging to Mayor Samuel Powel. The tower and steeple, although later additions, housed a monumental bell cast by the Whitechapel Foundry-also known for their casting of what has become known as the Liberty Bell. 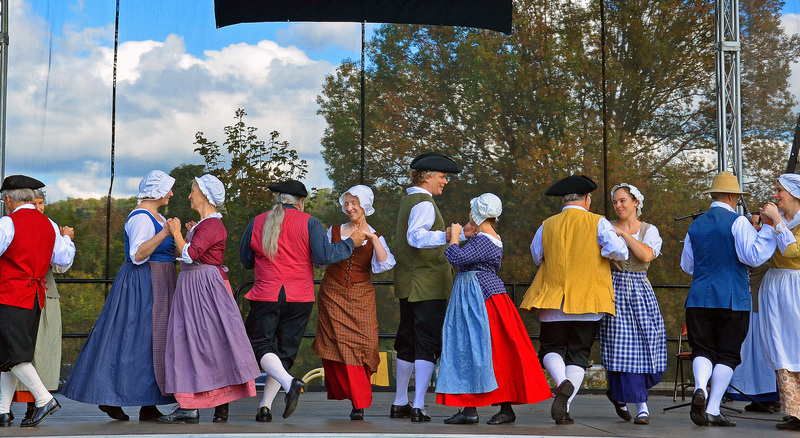 Dancers in the gavotte. It was a merry band. The organ case dates from 1764 and has been restored to magnificent condition by a continuing strong ministry of music. That is quite a lot for a former Quaker to recognize or understand in a Sunday worship service. Ann is among friends of the dance. 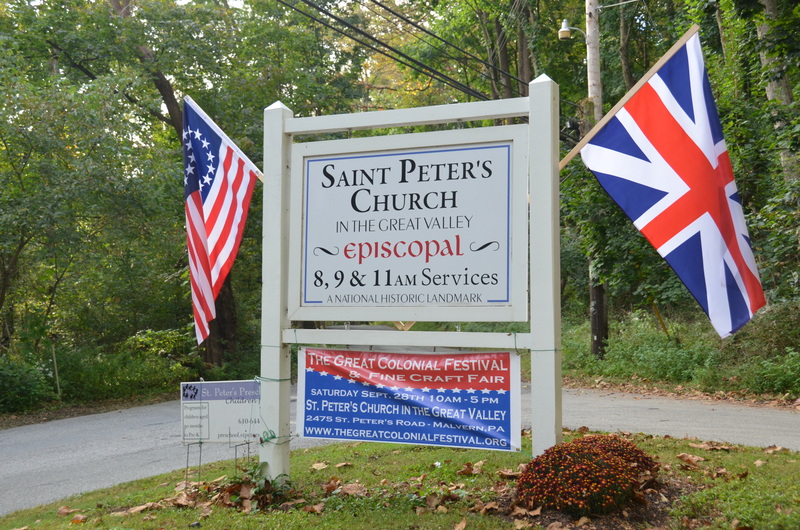 But the day that I came recently to Saint Peter’s Episcopal Church in the Valley, it was a festival. In my day, it was almost always called The Church of England. Or C. of E. for short. All things change. But in this case, those changing things wanted to relive a bit of their collected past. 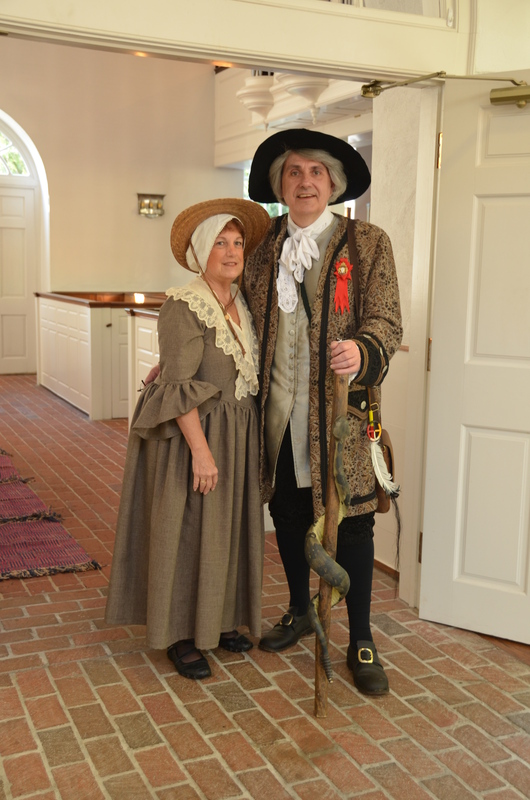 They invited John and his lovely wife Ann Mendenhall Bartram to participate in the celebration. It’s always a holiday when John and Ann get to travel together! 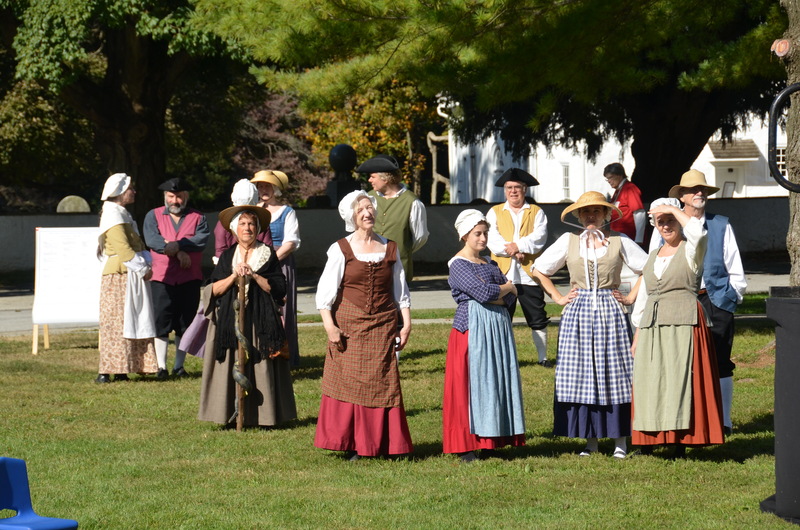 And they had dancers and a Faire on the lawn. They had vendors of woven tapes, and plants, and musical instruments and fine costumes. 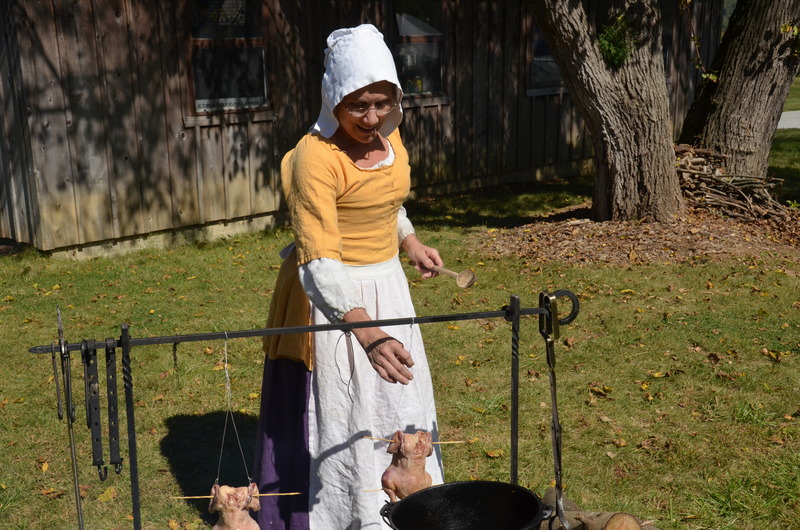 An 18th Century cooking demonstration. And food! Lest we forget the food. 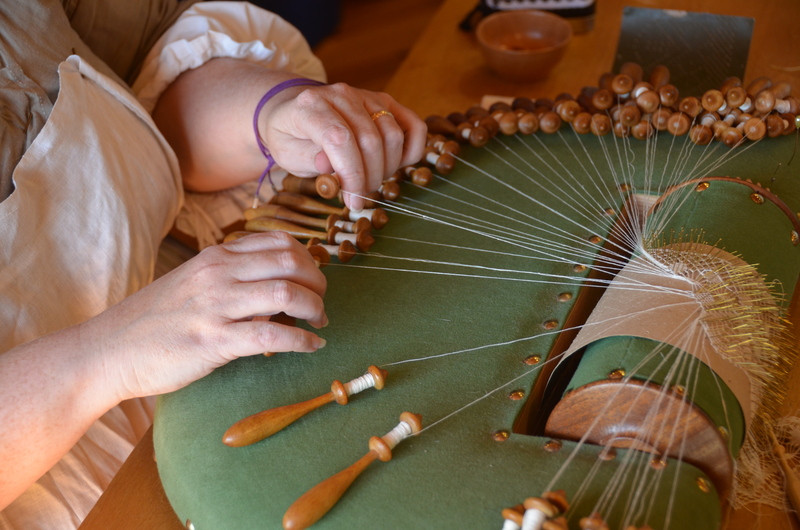 Entertainment from the 18th Century. The day was rapid-fire from the beginning. We took a tour of the fenced graveyard. It contains the remains of Revolutionary war dead from both sides. Wars were fought over this land! And special mention should be made that it is also the burial site of Charles Wilson Peale, the son of a very good friend. As well as the burial of Commodore Stephen Decatur-hero of the Battle of Tripoli. 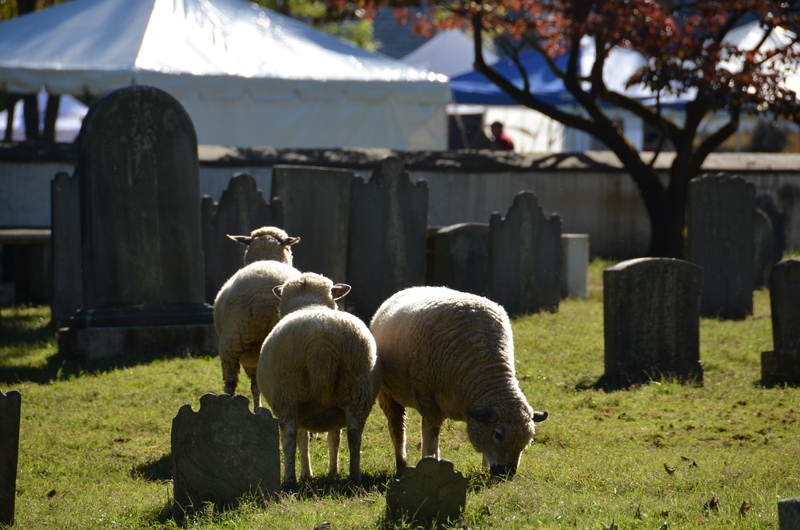 A true Sheep’s Meadow in the cemetery. The original lawn mowers. It was a day well spent in the country with marvelous fellowship in places of my recollection. How could a life be made fuller than with a collection of days such as these? Ah, the refreshing goodness of a country life!